What is the Diagnosis Stomach Cancer? After determining risk factors or symptoms, if they indicate the risk of stomach cancer incidence, doctors will perform a physical exam to detect the advanced stomach cancer. Healthcare professional will check for the enlarged lymph nodes, an enlarged liver, increased fluid in the abdomen (ascites). Doctor will carry out a faecal occult blood test to determine whether or not there is a microscopic bit of blood in the stool. Blood test is not always conclusive as there is no blood in the stool when stomach cancer is present. For that matter, upper endoscopy or an upper gastrointestinal (GI) radiograph tests are conducted. In an upper GI radiograph, the patient drinks a barium-containing solution that coats the stomach, followed by X-ray examination of the stomach. Alternatively, endoscopy can be done in which a lighted tube called an endoscope is threaded down the throat and into the stomach. If either of the diagnostic tests indicates a possibility of a stomach cancer, doctors conduct a biopsy that removes a small bit of stomach tissue which is then evaluated. Biopsy is necessary to confirm stomach cancer. What is the follow-up procedure after diagnosis of Gastric Cancer? 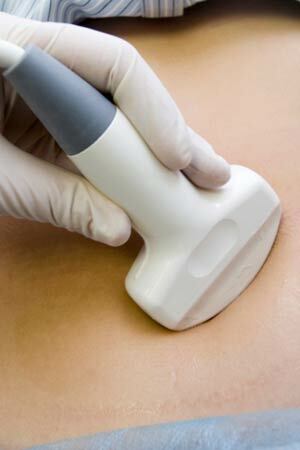 What is the diagnosis of Skin Cancer?